Factory workers have faced struggles for a safe workplace for generations. Early abysmal conditions in factories highlighted in works like Upton Sinclair’s The Jungle led to the rise of unions and to the passage of many workplace safety laws in the United States. Yet, even today, factory workers still continue to work in unsafe conditions, in old and dangerous buildings, doing repetitive tasks that put stress on their joints and the soft tissues of their bodies, year in and year out. 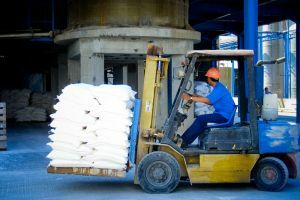 Our Boston work injury attorneys know that there is little oversight of factory conditions due to understaffing of OSHA workers that results in inspections of workplaces being far too infrequent. While conditions are better in the United States than in other parts of the world, conditions are still far from optimal and workers are still at risk of being hurt or killed on the job. More needs to be done to make factories safe and one MIT Political Science Professor has offered some suggestions on what could be done to improve conditions. According to MIT’s website, MIT political scientist Richard Locke has studied the question of factory safety issues for more than a decade. Locke has worked with a team of researchers, which collected information from companies worldwide and has explored different options for improving workplace safety conditions. Locke had long believed that the best solution would involve multi-national firms auditing factories where suppliers worked to produce goods. These audits would focus on safety violations and the corporations could threaten to withhold business from suppliers that did not maintain safe factory conditions. Unfortunately, Locke now believes that private oversight and the free market system may not be enough to keep workers safe. Locke cites dangerous conditions, excessive hours, poor wages and child labor as major concerns for many factories. While some of these problems aren’t major issues in the United States due to tough child labor laws and reasonably effective enforcement of wage and hour laws, other problems are serious concerns locally including the risk of dangerous conditions. All of these problems are major issues throughout the world, however, and lives are being lost as the recent factory collapse in Bangladesh so tragically illustrated. Now, Locke believes that the best and perhaps only way to combat these problems is for governments to protect certain fundamental rights including the freedom to bargain collectively. Locke suggests that the best solution may be to consider factories as part of a global supply chain and to facilitate active collaboration between the private sector, states and nongovernmental organizations to set and maintain standards for acceptable working conditions that will help to protect workers. In the United States, of course, we already have government oversight. However, it is questionable whether that oversight is effective in light of the recent AFL-CIO report indicating that workplace inspections are rare and that fines are too low to actually encourage employers to follow safety rules. If Locke’s position is correct and the only fix for workers is a partnership between the private sector and government, then his advice is not just important for people in countries like Bangladesh but is also important here in the United States where we have a long way to go yet to make factories as safe as possible for employees. Massachusetts Construction Accident Kills 1, Injures 2, Boston Workers’ Compensation Lawyer Blog, May 4, 2013.